At Kimble, we do the heavy lifting, so you can get back to business. We provide cost-efficient commercial trash removal solutions tailored to fit the needs of your organization. With reliable service and exceptional customer support, our difference extends beyond your daily trash pick up. Our team is always available to respond to emergencies or any unscheduled service requests. Contact us today for a free commercial trash collection evaluation. We are proud to provide exceptional service to Eastern Ohio as we continue to grow into new communities. Contact one of our customer service agents to find out if your business can receive trash, recycling and dumpster service from Kimble. 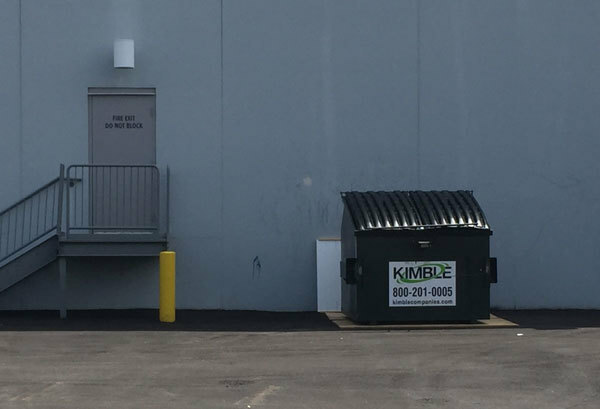 Kimble Companies offers convenient trash and recycling services to Eastern Ohio businesses, so you have one less thing to worry about at work. And our roll off dumpsters make construction site waste disposal easy.